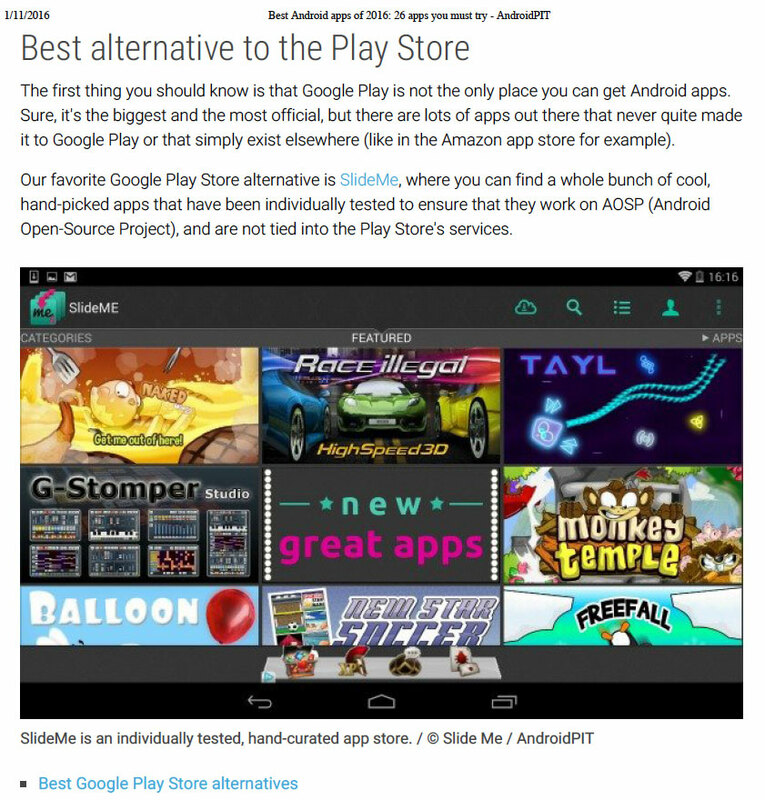 SlideME is a leading independent curated Android App & Games Marketplace, powering most of the AOSP OEM's preloaded with the SlideME Market, positioning SlideME second to Google Play in terms of global reach for Android Apps and Games distribution. For device vendors, leveraging the Android Open Source Project (AOSP) that does not include the Google proprietary apps such as Google Play, SlideME has become the de-facto alternative. 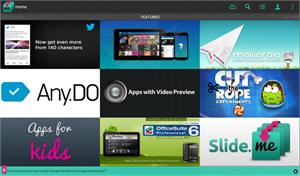 All apps are curated on SlideME to assure they function on AOSP based devices and not solely dependent on Google Play Services. Oh, and one more thing that's worth mentioning: the SlideME Market app has already surpassed 100 million downloads (not counting the number of preloads on OEM devices). SlideME now supports the option for users to pay via Mobile carrier through our partnership with Fortumo. This is an important milestone for SlideME to bring such a payment option at the store level, as opposed to developers having to implement intruding commerce options within each of their apps. Unfortunately Mobile carrier payments, unlike traditional payment options, have different price points for each country. Such price points do not accommodate the exact set price of an app, nor is it fair to users for such an app price to be fixed to the carriers’ price points per country. This means the same app could be more expensive in one country than another. For this reason SlideME has implemented a feature where any overpayment is credited to the user’s SlideME Wallet balance, which can be used to purchase other apps (or in-app items if the app is using the recently released SlideME In-App-Payments SDK or supported Open In-App Billing). With the release of the SlideME IAP SDK, developers can monetize their freemium apps (i.e., free to download but include the option for users to purchase in-app-items) distributed via SlideME to the many Android Open Source Project (AOSP) based devices without Google Play Services. In-app purchases for users is seamless as they can continue to use our current or new payment options, including purchasing in-app items through their existing SlideME Wallet. The sheer volume of non-Google Play enabled devices can no longer be ignored by app publishers as more device vendors are leveraging the AOSP, which does not include the closed-source apps and services like Google Play and Google Maps. Developers should have a distribution strategy for apps being distributed to these AOSP based devices . Today at MWC, we’re seeing Nokia releasing the Nokia X device based on the AOSP, and therefore without Google Play. SlideME as of today is present on the Nokia X, and many other device manufacturers have preloaded SlideME as a respected alternative to Google Play. ZeptoLab released Cut the Rope Experiments across a catalogue of different stores. The result? The game picked up more than 2.3 million downloads on SlideME..
Good news for developers today from SlideME. Developers have the option to be paid out in Bitcoins or to their Coinbase Wallet instantly. Are You Looking For Legitimate & Safe Android Apps? 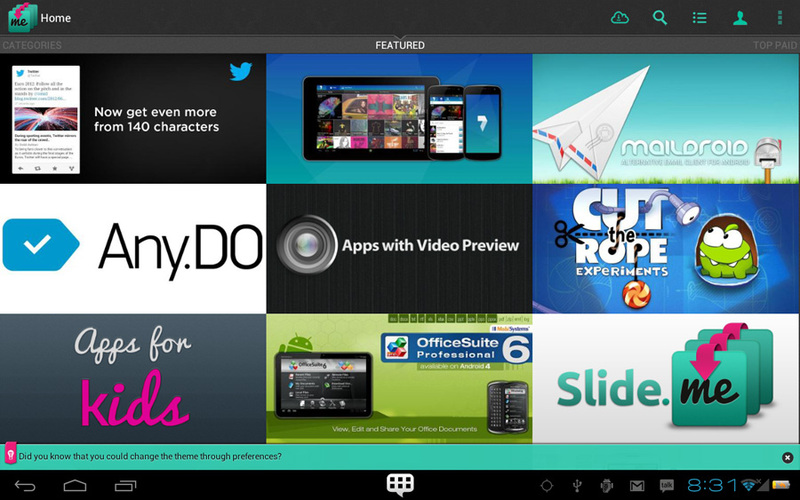 The maturity of the Android OS can really be indicated by the sheer volume of applications available for the platform. 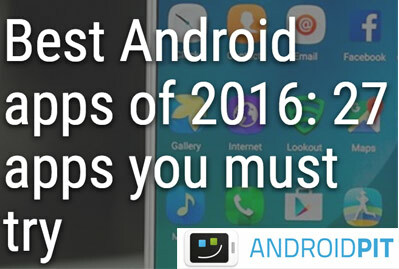 How can an Android user be expected to wade through all of these applications to find a quality product they are looking for? How can a developer generate exposure for their applications when the competition is steadily rising? Consider SlideME’s stance on application discovery. Unlike other stores, SlideME actually inspects and reviews the content and functionality of each application submitted to our store. We don’t just check if the application is compatible and runs properly on multiple devices. We also ensure that the application has some value, may be useful to many users, and is legitimate and legal. SlideME does not accept simplistic junk applications, nor do we approve the misleading, scam applications that proliferate on other stores. 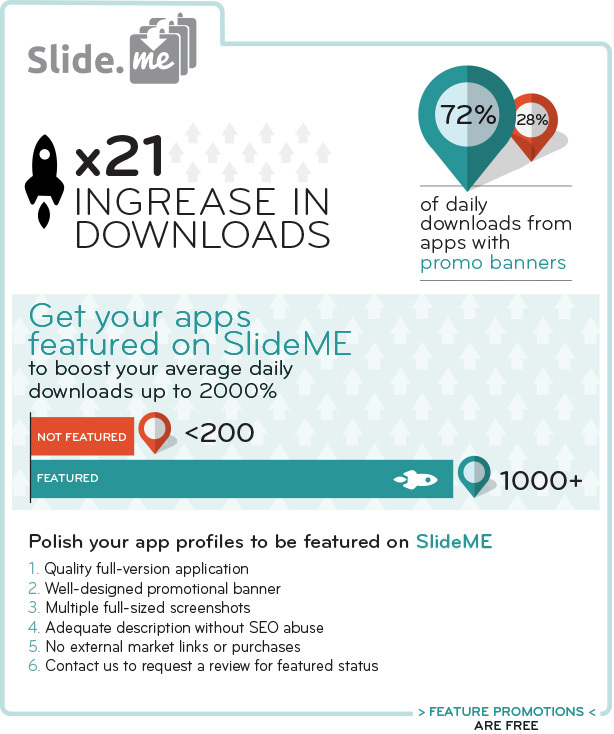 When you download an application from SlideME, it is either the real deal or it is legitimate application that we make clear is only similar in nature. Creating an application that is high quality or unique may not be enough to net a satisfactory number of downloads in the currently over-saturated Android ecosystem. However, SlideME can prove beneficial to the independent developer or team looking to increase exposure and awareness of their applications. All applications on SlideME are scanned for viruses and exploits. We use multiple scanners in order to ensure safer applications. Recently we teamed up with Bluebox Security to integrate their Android exploits scanner into our systems. As a result, we are among the first application stores to scan for the Master-Key exploit (and other exploits that were not even made public yet). 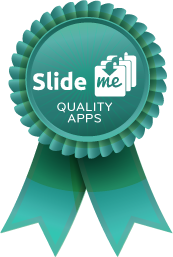 All applications on SlideME are manually reviewed by our editors. Our strict approval process ensures that all applications are tested and quality-checked by our review staff before they can be published. SlideME has teamed up with the One Platform Foundation to help developers distribute their applications across multiple stores. 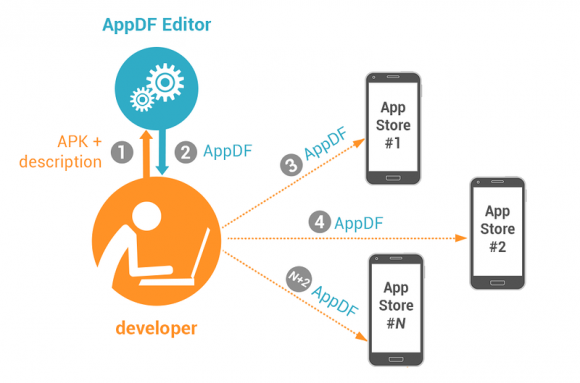 With the App Description File (AppDF) format, you can create a single file that describes your app and can be uploaded to multiple app stores. Within the AppDF file, you can combine your application’s market description, screenshots, the APK, promo graphics, icons, and video files.This will not only save you time, but helps in part to reduce the fragmentation of the Android ecosystem. We have launched our newly designed Android market app, version 5 of the SlideME Application Manager (SAM), and we wanted to highlight some of the new features that you might not yet know about in the new SAM 5. Thanks to community and tester effort, SAM 5 has already reached its 13th version (5.13) with tons of stability, performance, and usability improvements, easily making it the best SAM (yet). When Do Application Advertisements Cross the Line? With the huge demand for applications to be low-cost or free in the Android ecosystem, it can be difficult for developers and publishers to monetize from their work. A high quality application with hundreds of hours invested deserves adequate compensation, and in turn would help fund future high quality applications. Many low quality applications seek to makeup for the lack of invested hours by aggressively stacking advertising into each individual app. But where do we draw the line with advertising? How much advertising is really necessary for an application to make a profit? Do low quality applications deserve to net a larger profit by including many forms of advertising, or should they be limited in relation to the amount of effort and time invested? How does this remote licensing option work differently than using static keys?